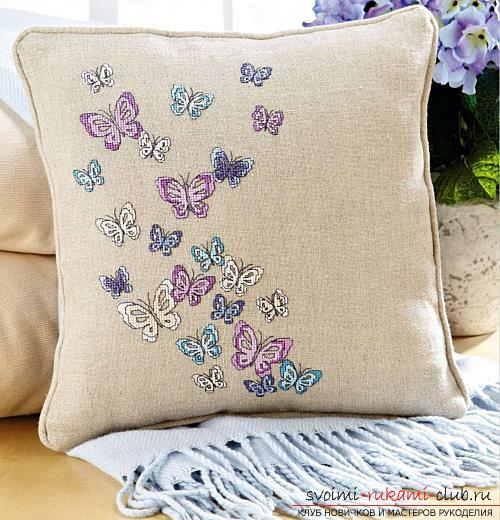 Embroidery designs for butterflies on cushions If you wishhave beautiful and delicate sofa cushions, they can be made by hand, decorating the pillows with original bright butterflies, which can be embroidered with a cross. 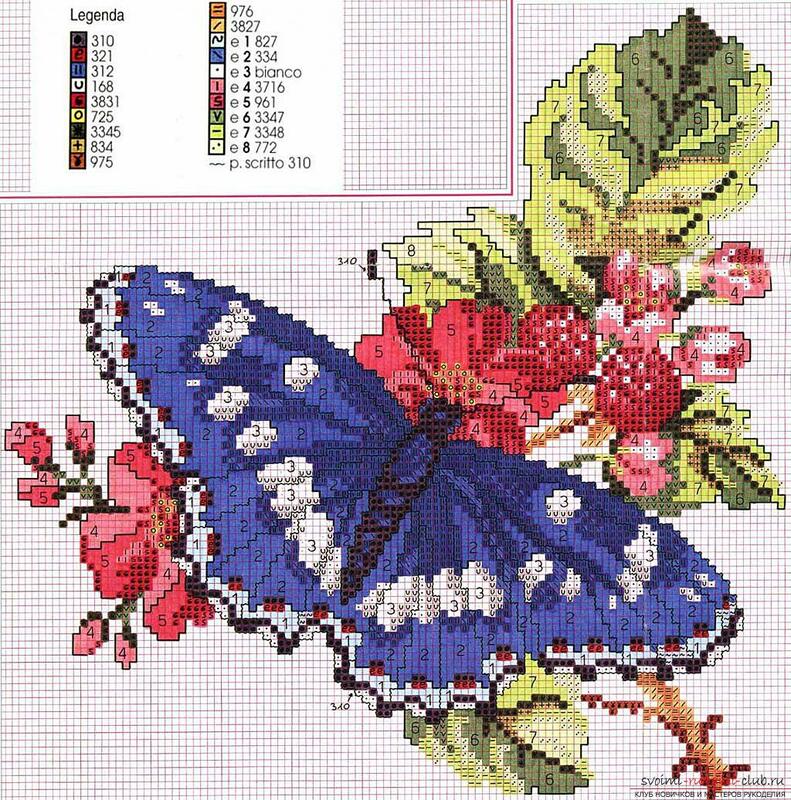 This task will be possible even for beginners, who can, using a simple and affordable scheme, create embroidery without special difficulties. 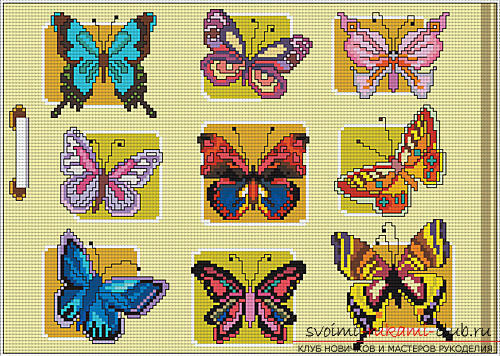 To make a pillow with butterflies, we need: a fabric base or canvas, on which it is clearly visible the interlacing of threads (for example, linen cloth); thread of a mulina of different colors; The frame used for embroidering large drawings, or the hoop; Needles designed for embroidery; pins; a simple soft pencil (it can be replaced with a special marker) to make markings on the fabric; an embroidery scheme that you can print on a color printer; thread for sewing (pick up the tone of the fabric itself); a fastener (velcro or lightning). Tissue material must be cut bythe desired scale for you, do not forget to add one centimeter from all sides (leave the allowance for seams on the sides), and add four centimeters to the total length of the back of the pillowcase. The element for the back of our pillowcase needs to be cut into two equal parts in length, the edge must be bent to the wrong side, the bend ironed with iron, then the pins are fastened with Velcro or lightning and hooked with a sewing machine. 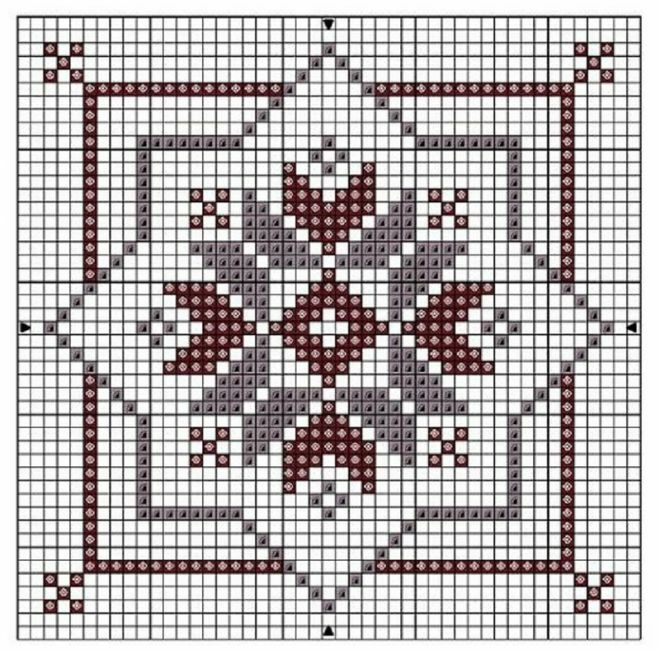 To make the embroidery process more simple andconvenient for calculating the squares on the canvas, using a special marker or a soft pencil, you need to mark ten to ten cells on the front of the base of the future pillowcase. 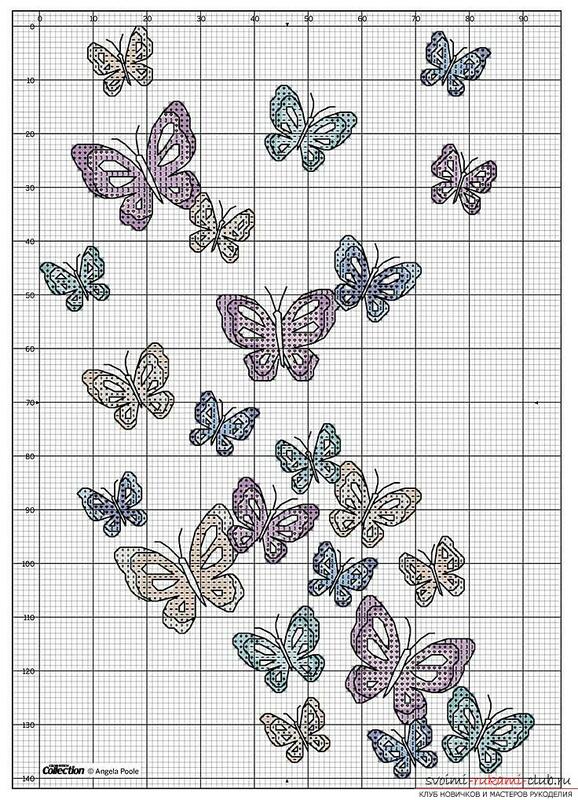 Then gently stretch it on the frame for embroidery or on the embroidery frame. Focusing on the color key to the embroidery scheme,It is necessary to make a selection of all necessary shades of thread floss. Next, using the stitch "cross", following the pattern of embroidery, create a key part of our drawing, then using the seam "back the needle" to walk through all the contours and lines. This will ensure a neat appearance of your embroidery. To make the embroidery volumetric, you need to process all the contours using a thread, thicker than the previous one, or several layers of thread of a mulina. Having finished our embroidery, it is necessary to erase earliermade markup. Then you should wash the product in soapy cool water, then gently dry it. At the very last stage of the part of our pillowcases we put the facial parts to each other and connect them along the edge. All! 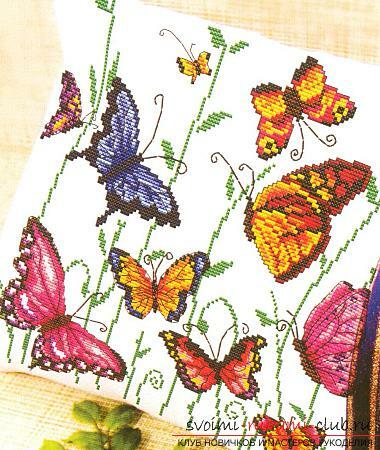 Pillow with embroidered butterflies ready! Step-by-step master class on creating a decoupage for candles for the New Year.